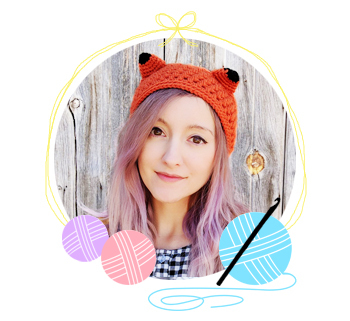 Hey guys, it's that time again: free crochet pattern time! This time it's an adorable Sailor Moon headband, made using a chevron stitch pattern. And yeah, I used the colors for Sailor Mars on this one! Why? It's not because she's my favorite, that title belongs to Jupiter. ;) Well I'll tell you...because I had the yarn for it! Hah! I had no school-blue around and didn't feel like buying any, so Mars it is. Use any colors you like and let's get started! ww yarn in main color, stripe color, and bow color. So to make this guy, you'll be repeating the same 2 rows over and over...and over...and over! 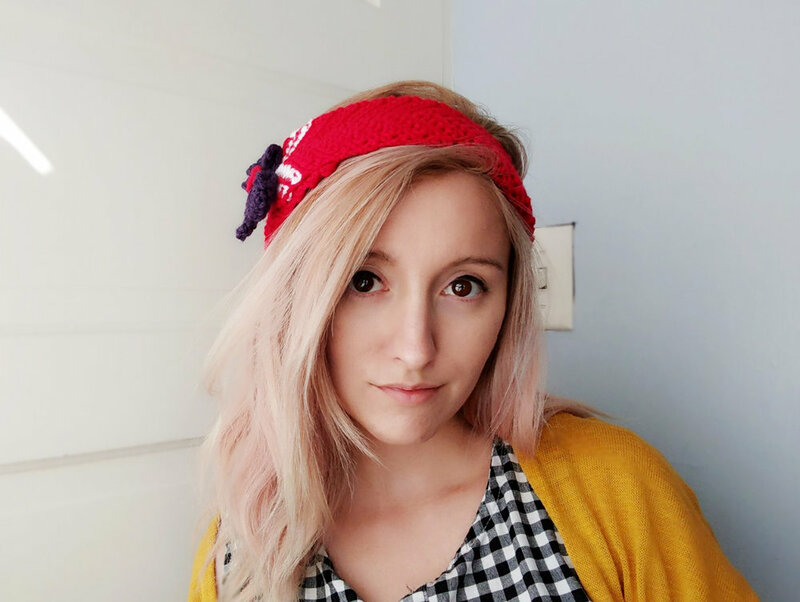 I made this headband close with a button so it won't mess up my hair while I put it on, but you can instead choose to sew both ends together and just slide it on and off like a regular headband. R1: single crochet decrease the first 2 stitches together, sc into the next 4 st, 3sc into the next st, sc into the next 4 st, then decrease the last 2 st.
R2: ch 1 turn, repeat R1 through the front loops only. This will create a nice V line pattern. R3: ch 1 turn, repeat R1 through both loops. Repeat 2&3 until your headband is about 21" long unstretched & on an odd row. I stopped after R63. If you're not using a button, you will probably want to stop after 20 inches. Don't finish off here! 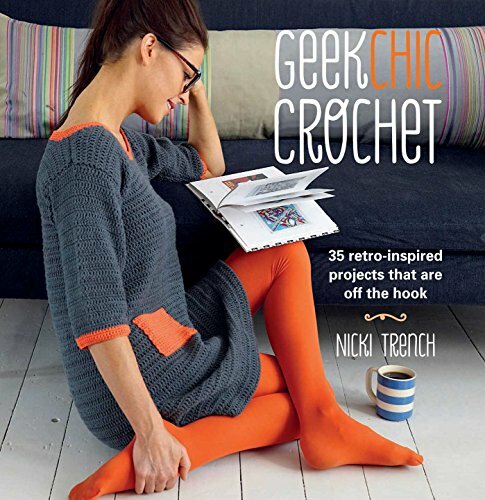 Carrying your yarn at this point is...not very attractive. Typically I always carry yarn, but in this case, it's gonna look better to cut your yarn after each stripe row. Next up we'll make the bow. Chain 20, then join with a sl st.
R1: ch 1 (doesn't count as st), sc into same st, then into the rest. Finish off, leave an 8 inch tail. To make the hanging ribbon part of the bow, just repeat the starting chain and R1 of the scarf! Weave in your tails after you make it, you won't be using them for anything. Use the tails on the bow to cinch the middle, then use one of them to sew it onto the ribbon bottom. Then, sew it onto the headband! Now make the center button with a magic ring of 6 sc. I decided to glue the center button on instead of sewing it on. I smeared on the glue & pinned the heck out of it. It's 100% secure after 24 hours, can be machine washed, and looks really nice. Lastly, sew the button on the back side! Hope you guys like the pattern! And of course, tag me on social media if you make one! !